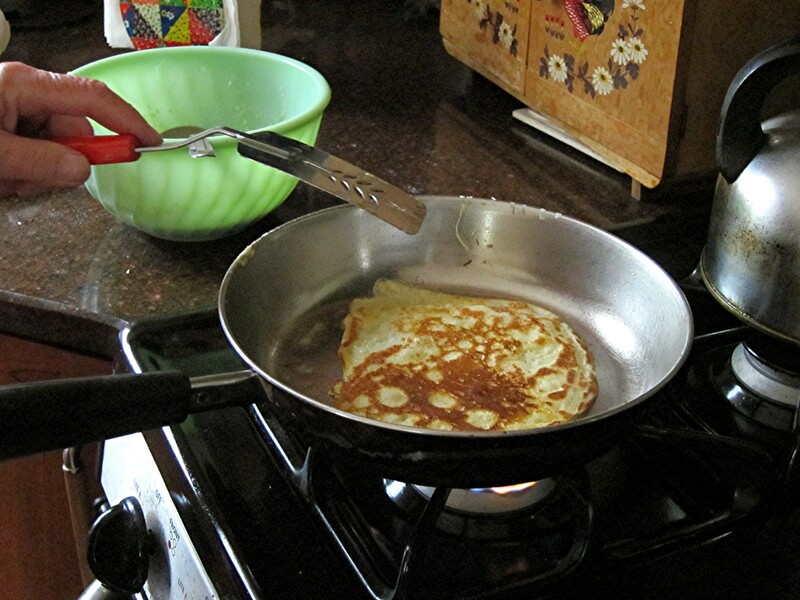 Every so often H’s mom whips up a batch of pannekoeken. 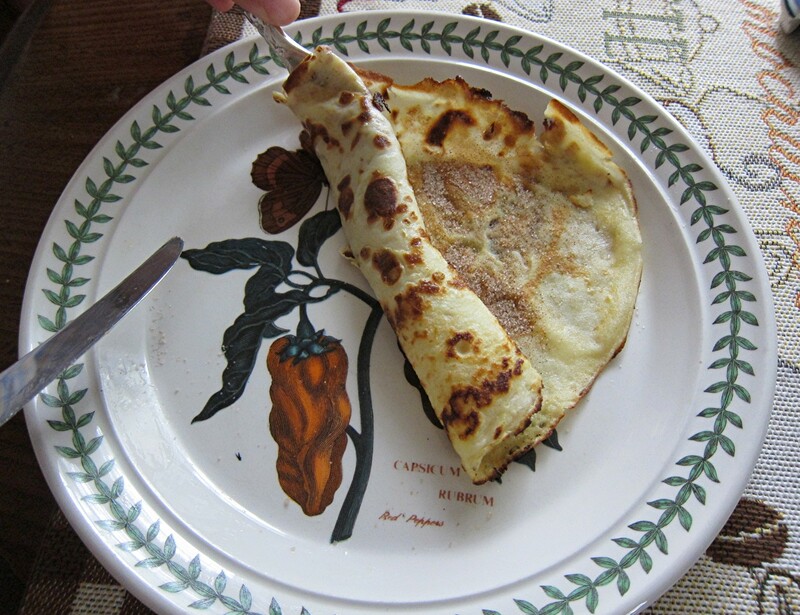 These Dutch pancakes are a bit different from their American counterparts in that they are light, very thin, and usually large enough to cover the plate. 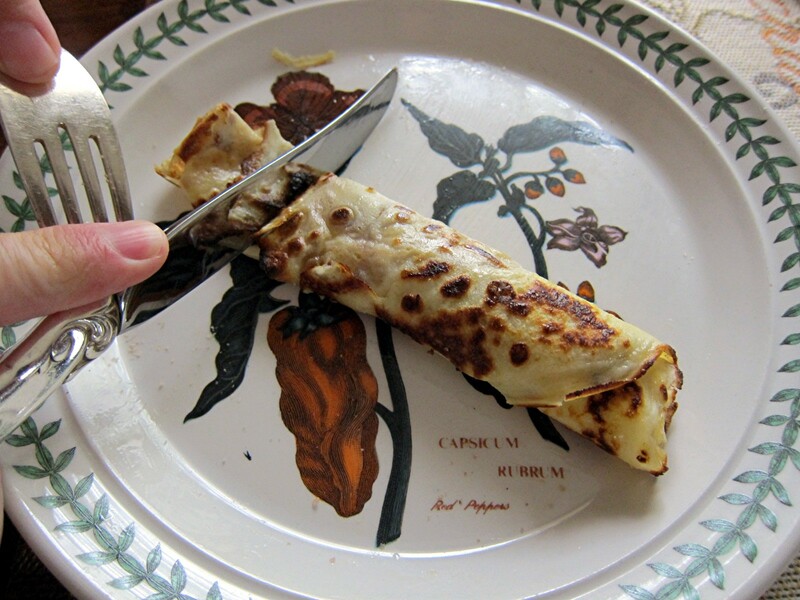 The ingredients are similar (flour, butter, milk, eggs), with apples or raisins or various other goodies sometimes added. 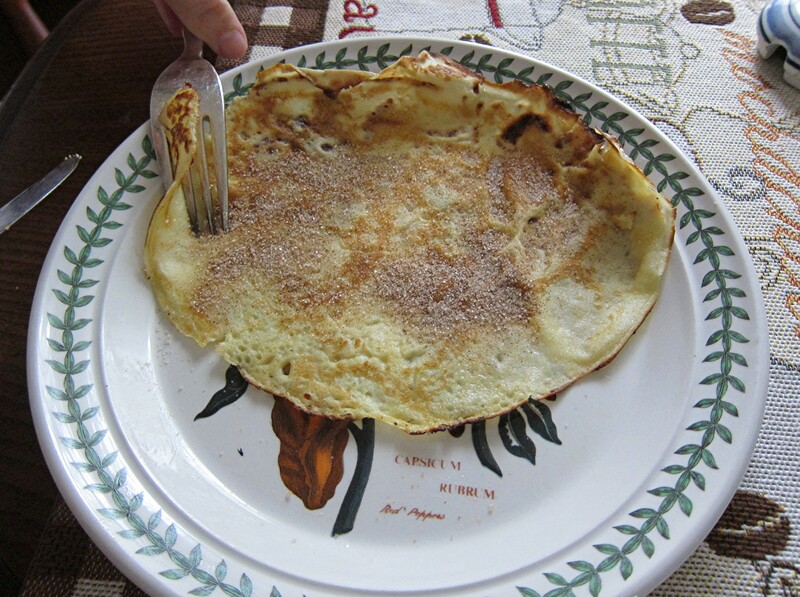 Sprinkle your pannekoek with cinnamon sugar, gently roll it with a fork, slice it, and eat. 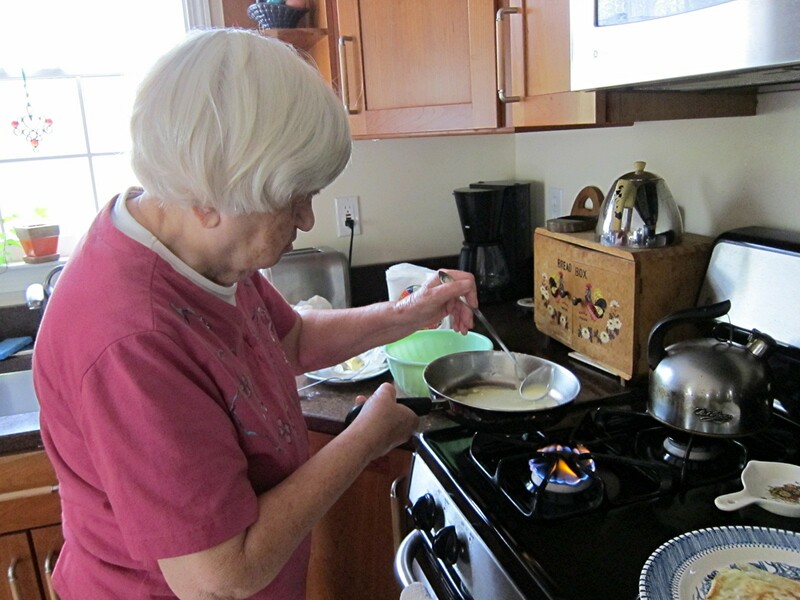 I have very fond memories of my Oma coming to visit and making Dutch pancakes. I love them! Lekker!